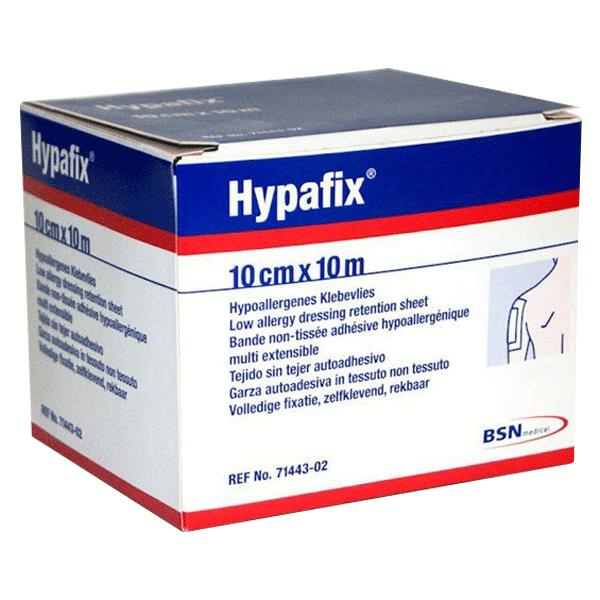 BSN Hypafix Dressing Retention Tape is a self-adhesive, non-woven fabric sheet for dressing retention. It is made from white polyester material and coated with hypoallergenic adhesive on quick-release backing paper. Hypafix secures dressings, tubes, catheters and instruments quickly and easily, even in hard-to-tape areas. It is comfortable and stretches for easy application and patient comfort. 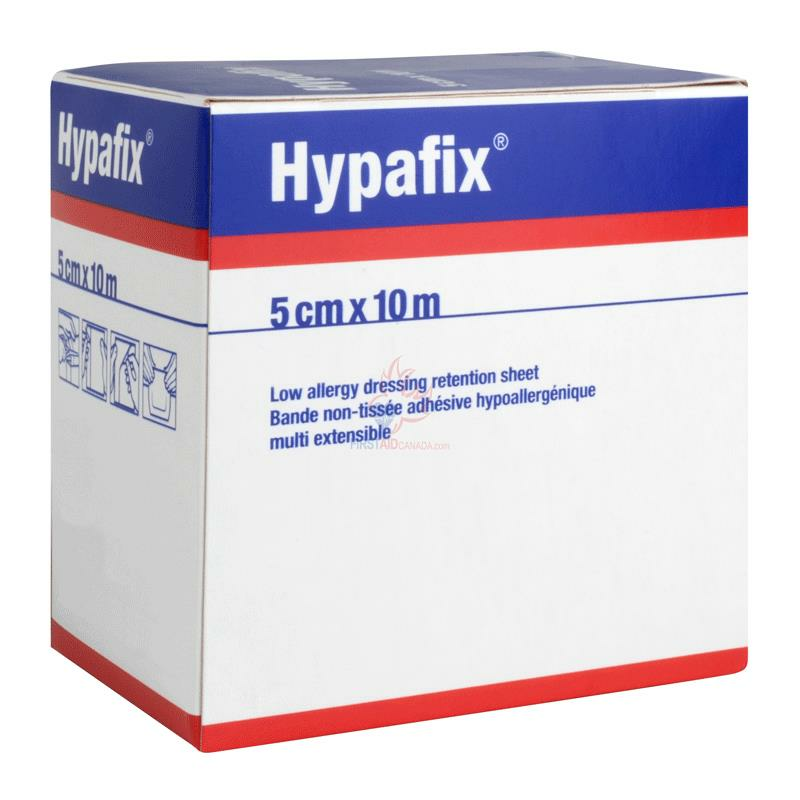 Hypafix also provides complete coverage of the entire dressing, thus reducing the risk of contamination. Upto 4 units (72 sq. in.) per dressing change when wound cover is greater than 48 sq. in. Will it stick around difficult to dress areas? 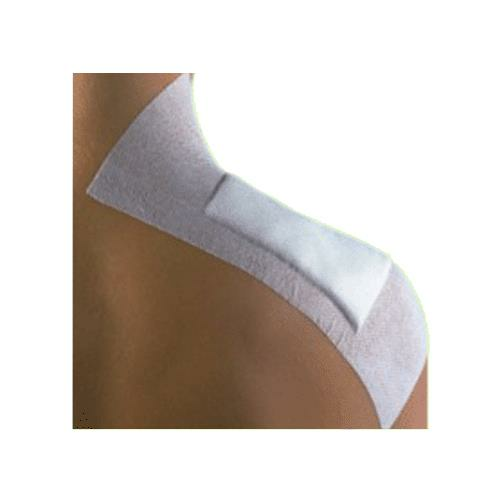 Excellent conformability of Hypafix Dressing Retention Tape simplifies shaping around joints and awkward body contours to allow the patient greater freedom of movement. Hypafix is made from white polyester material and coated with hypoallergenic adhesive on quick-release backing paper. I have a dermabrasion on my nose. Nothing sticks around easily. Will this product help? Yes, Hypafix Dressing Retention Tape will surely help you. It will easily stick around the nose area. Yes it is latex free.